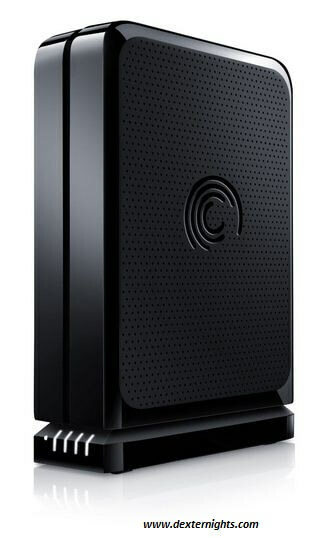 Seagate FreeAgent GoFlex is of 1 TB (Tera Bytes) capacity with USB 2.0 as interface. The dimensions of the drive are 158 mm in height, 124 mm in width, 44 mm in length, its weight is 1080 g and 3.5 inches of form factor. The drive comes in both vertical and horizontal orientation. The hard drive comes with quick start guide for easy learning for installation and usage. Once it is plugged in you can easily take a backup of your files from your pc, it also allows you to copy certain selected files from your system to the drive. The files get updated if any changes are made to the files in the system, it turns on and off along with the system. The drive has pre-loaded backup software with encryption, where encryption is 192 bit Triple DES (Data Encryption Standard – block cipher which uses shared secret encryption) this software is provided to secure your back-up files and also protects privacy for your files with the encryption software.